On Midsummer eve, in my first homeland Finland, people escape to their from-floor-to-ceiling scrubbed summer houses and villas decorated with fresh birch branches. They spend the nightless night around the bonfires that are to chase away the bad spirits. Midsummer night is also all about magic for single ladies who want to find the Mr. Right. 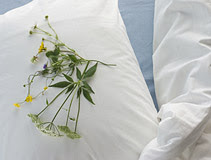 Most common thing to do is to pick up 7 different wild flowers from 7 different fields and put them under your pillow right before going to bed. The dream will then show and tell. Another way to see the face of the love of your life - don't try this at the closest town square now though - is to go to still water; a well, pond or lake and bend over it in Eve's outfit. The water should reflect your dear's picture. If you don't have an access to the wild and prefer less of a drama, but still fancy trying your luck tonight you can just pull a left foot sock inside out on your left foot before going to bed and wait for the dream to tell... - Yes, I admit, I've done the 7-flower-thingy myself and today I'm happily married with the man that the following dream showed me 6 years ago. - No, I'm afraid I don't know any man who has ever tried if it works, but perhaps some of you guys could try it tonight! In my second homeland Ireland I imagine the Fairies, those fragile looking but so powerful and sometimes even evil characters, are celebrating the Sun tonight by dancing around the huge Fairy trees and entertaining themselves by watching people's Summer Solstice rituals. Margie McArthur, the author of Faery Healing the Lore and the Legacy writes about Aine, the Goddess of Ireland who was considered the Queen of Fairies in Munster, southern Ireland, the following way: "She was worshiped at the Summer Solstice, at which time people lit torches of hay upon her hill of Cnoc Aine, carried them around the hill in a counterclockwise direction, and conveyed them home, bearing them aloft through their fields, while they waved the blessed fire over livestock and crops." Not just in Midsummer, Fairies keep Irishmen going on daily basis too - well, naturally only if you keep them happy. To do it you need to be appropriate in your behaviour and nurture the Fairies' existence. That's why one can, among many other things, occasionally see a lonesome old tree with a fence built around it standing in the middle of a huge field. 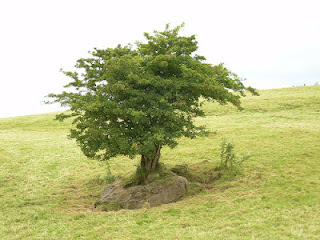 The tree is there for the Fairies to live at - fascinating, isn't it! 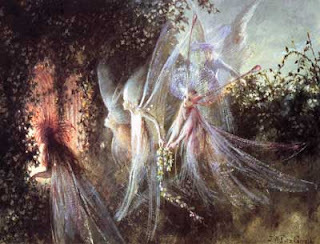 Fairies also inspire many Irish artists and crafts people in their work. My friend Anne-Marie O'Rourke from Handmade by Amo'r makes beautiful fairy pendants, bookmarks and ornaments with beach glass - pieces of glass thrown to sea from old Pirate Boats, etc. frosted in salty water for over 100 years! 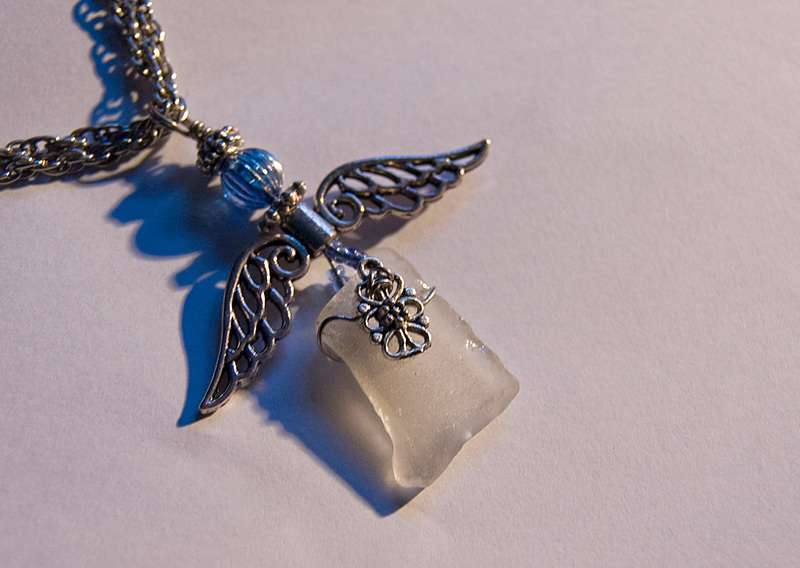 I got myself one of her unique pieces some time ago to wear it as a lucky charm in bigger or smaller challenges of life - and believe it or not, the Fairies are not just old man's tales! Fashion guru Valentino is also a big fan of Fairies who gathered together at the catwalk at his SS 12 Haute Couture Show. To enjoy more of Valentino's breathtakingly beautiful Fairy pieces please click the photo. 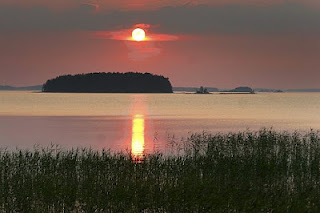 - Happy Midsummer to all!